Pedicure, shmedicure, just don't mess up my mascara. Leave lots of treats and leave. Mister, I know you understand that this is a labor of love, and I want to tell you how heartwarming I find it that you still adhere to the strict bunny code of making them pay. 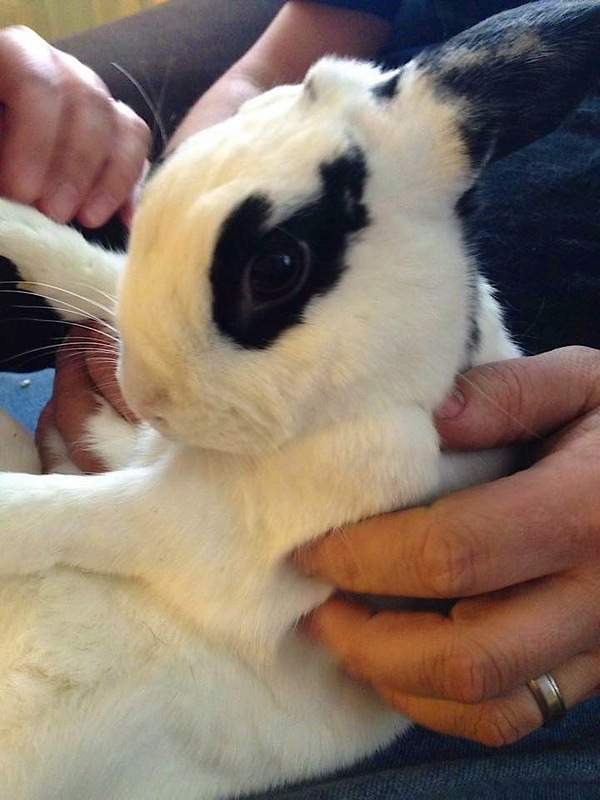 There is really nothing like the ingratitude of a bunny after a pedi. Everyone should experience it on a regular basis. At first glance, it seemed that Mister was yet another fabulous bun patiently trying to teach his stoopid hoomins. However, on closer inspection, it becomes apparent that just that one eye holds an unparalleled abyss of disdain that could take down kingdoms! Yes, keep the mascara flowing, it helps shade the effects a bit. It is another Rorschach test . It's an eye in a kitty - or a rabbit and an eye or ... oh well. No matter ... won't affect me one way or the other.